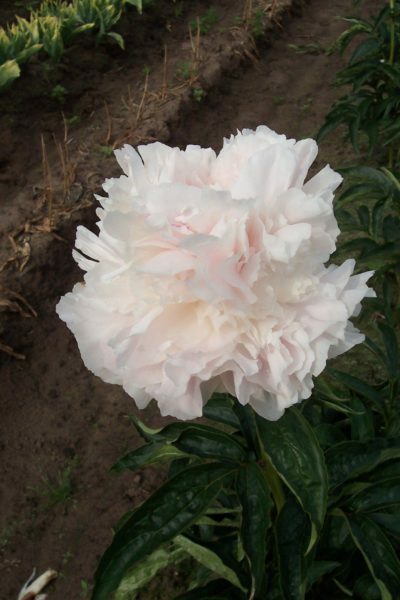 The flowers of this double white peony are white with a pink and lemon touch in them. 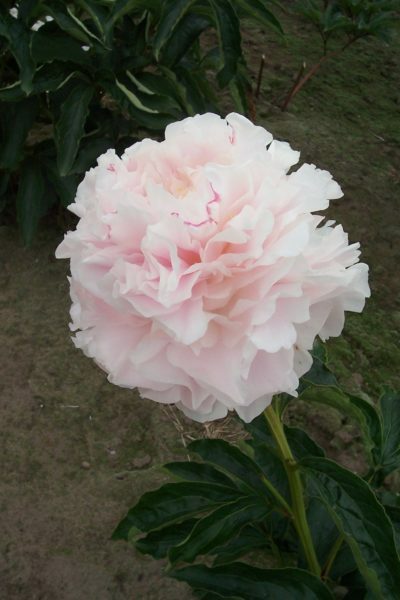 The bud is a pale pink and one the flowers open you see a pastel coloured flower that gets more white with aging. This is a stable plant that doesn’t need staking. Introduced in 1992 by the American grower Don Hollingsworth.